Administrators and CEOs need good people skills. 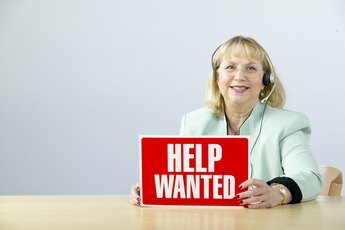 Although companies rely on salespeople to make profits, on marketers to advertise products and on computer techs to manage hardware and software, they also need organizational staff to keep everything running by handling administrative details such as paperwork and record keeping. These employees are called administrators. Administrators may assume management positions, the highest of which is the chief executive officer. Administrators, also known as administrative assistants and secretaries, handle routine clerical tasks such as answering phones, organizing customer records, answering letters and emails, operating office machines and supporting other employees. They may be the only administrative workers in a small office or they may form a team in larger organizations. With experience, administrators can advance to supervisory or administrative manager positions, in charge of hiring subordinates, training them and assigning them schedules and projects. Chief executives take charge of entire organizations by setting goals, developing strategies and policies and overseeing budgeting and finance. 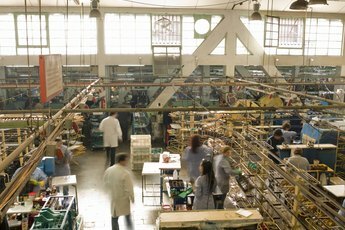 They meet frequently with department heads to map out operations, promote employees to management positions and negotiate contracts with suppliers and customers. Much of their decision-making comes from analyzing financial statements and sales reports. In large organizations, CEOs often perform their tasks with the help of subordinate administrators, such as executive secretaries. CEOs maintain ultimate responsibility for the success of their enterprises, and they have the final authority over the direction of the company and what products and services it focuses on. All their tasks are management based. They report to no one except company owners or a board of directors. Administrators at the lowest levels handle clerical tasks. At the highest levels, they may be responsible for the operation of their departments and staff. At any level, administrators typically report to higher-level managers. Higher-level administrators and CEOs focus on providing leadership and developing ways of furthering company goals. They rely on information to make decisions and communicate their plans through verbal presentations and written reports. Both administrators and CEOs are usually in charge of subordinate staff that they can hire or fire, and both must juggle employees, budgets, schedules and material resources to ensure that their goals are met. Administrators at management levels may be the highest-paid employees in their department, just as CEOs are the highest-paid employees in their companies. Individuals who are interested in managing organizational tasks or prefer defined areas of responsibility might want to become administrators. Those who are comfortable directing the activities of all employees in an organization, handling large resources and setting broad goals while leaving details to subordinates will find CEO positions more to their taste. What Are the Four Major Responsibilities for the Typical Middle Manager? What Are the Duties of a Hospital COO?